To make the title I used some stickers from the Icon Sticker Sheet and the This and That sticker sheet. The viewmaster shape is from the Odd's and Ends as well as the firecracker. I mounted these to the layout with some glossy accents and foam tape. Up in the top left corner I made a little cluster of embellishments. I started by cutting a banner shape out of the July 4th paper from the 6x6 paper pad. 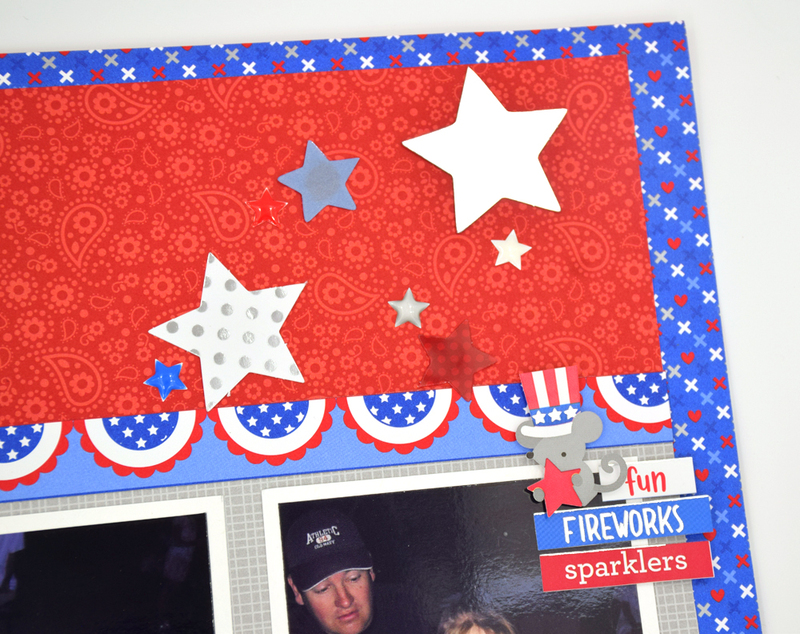 I also cut a light blue firework pattern paper from the 6x6 pad. I glued a accetate firework from the Odds and Ends to the base and then glued the banners down. I popped the July 4th banner up with foam tape. 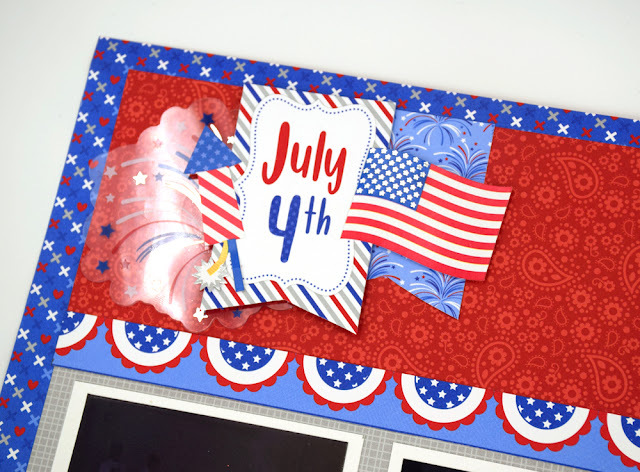 I then added a flag and firecracker sticker from the Icon sticker sheet. 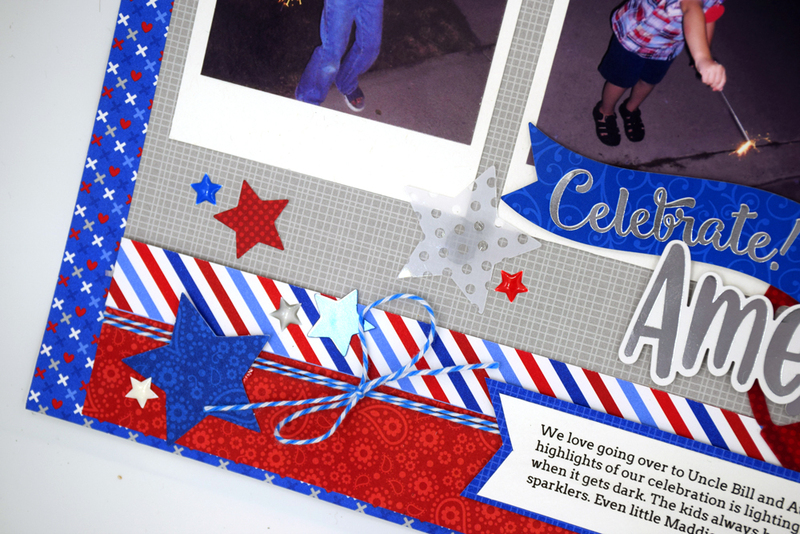 I then got quite a few different sized star die cuts from the Odds and Ends and glued them in the corners of the layout .I also added some star sprinkles to the layout. 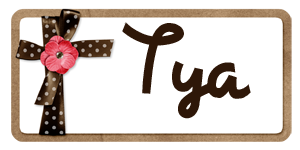 I added some word stickers and a cute little mouse to one of the photos. I finished the layout off with a blue bakers twine bow. 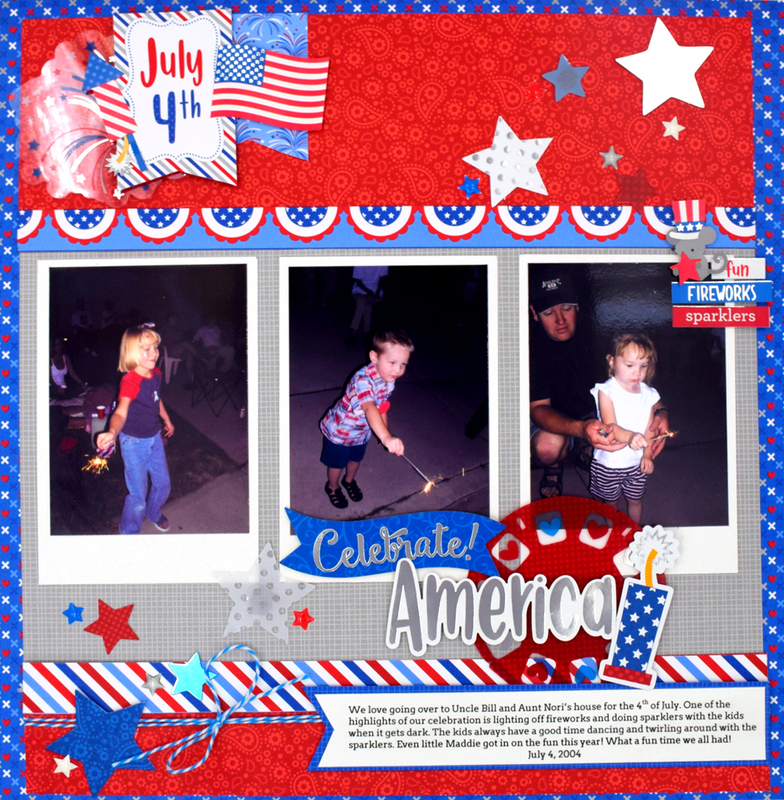 I had such a fun time making this layout and remember the fun time that we had that night. I hope I have inspired you to pick up this collection and record some of your favorite 4th of July memories. Thanks for stopping by today! Happy Crafting! 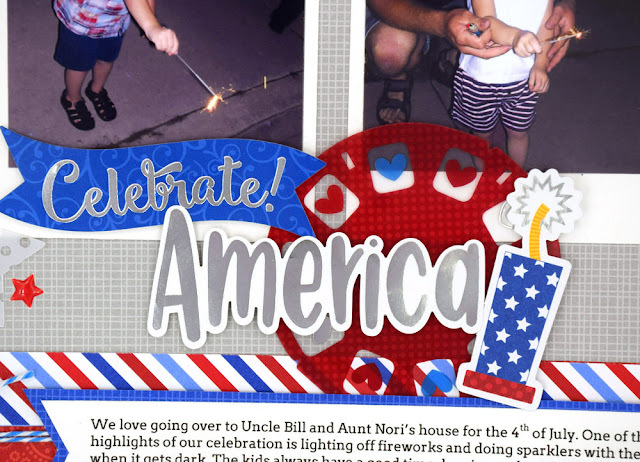 OMG ... What A Super Spectacular Layout WOW You definitely created one Incredible 4th of July Layout!! Your photos are as sweet and adorable and your little ones are definitely cutie patooties. You so came up with outstanding embellishing ideas. Love it all!! YOU so ROCK! !